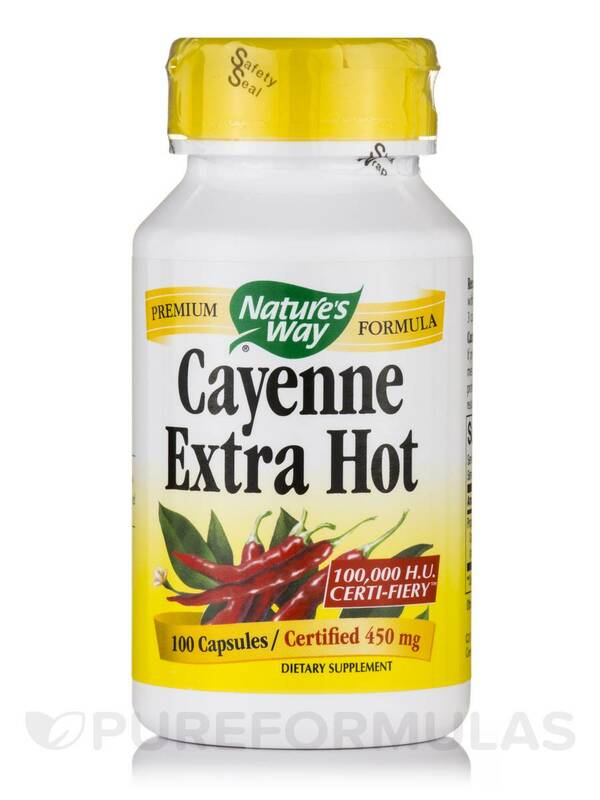 If I feel a cold coming on, I start taking Cayenne Extra Hot by Nature's Way 2 in the morning, 2 at night - for a couple of days, and it flushes the bacterial,viral culprits right out of my system! Cayenne Extra Hot‚ a proprietary blend with an invigorating effect on multiple body systems‚ has 100‚000 Heat Unit. First time Cayenne users should begin with Nature's Way CapsiCool® Cayenne with a milder 40‚000 Heat Unit. 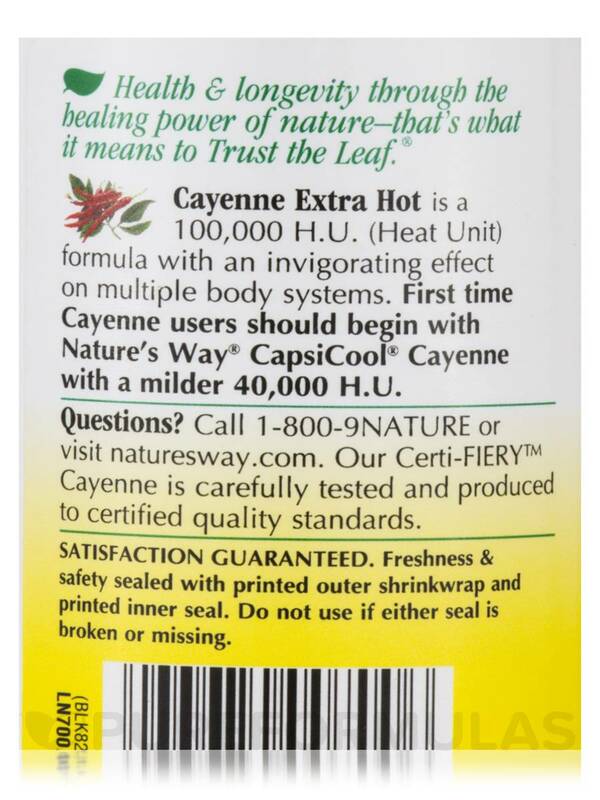 Cayenne Extra Hot 450 mg by Nature's Way helps to keep you intact. 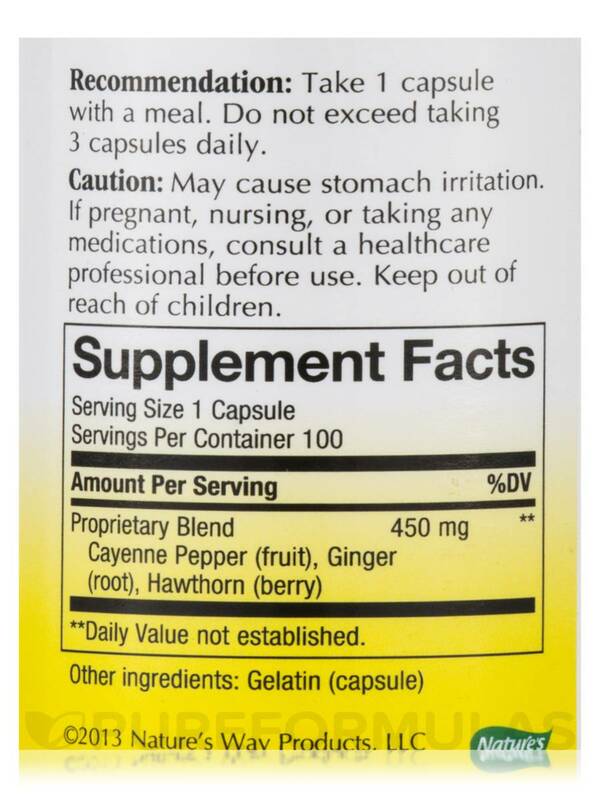 I personally like to empty the Cayenne Extra Hot by Nature's Way capsules into water and just drink. I can take it. :) Been a cayenne connoisseur for a long time. They say cayenne for its therapeutic benefits it has to be 90,000 units of heat and up. This has 100,000 so all good. Not sure the quality of the cayenne, growing conditions etc. But it'll do for now. It's hot, hurts and results. 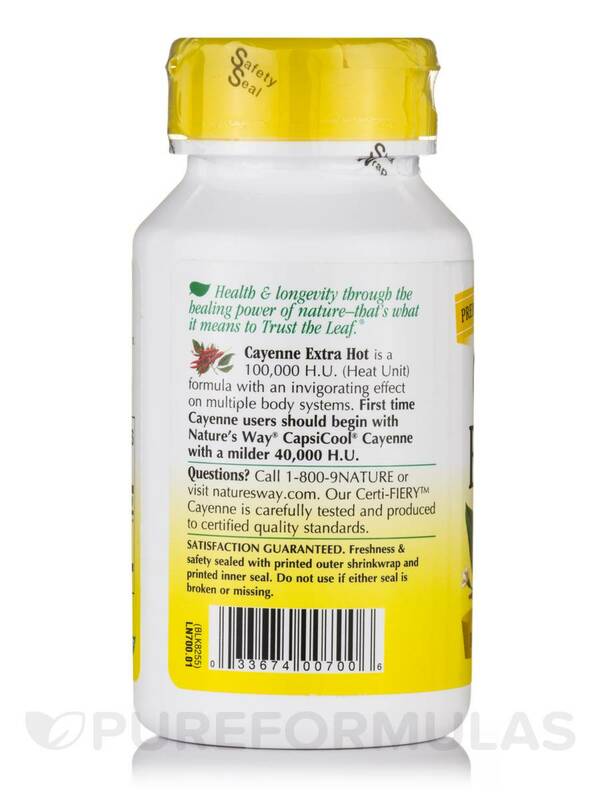 I used there milder product before using Cayenne Extra Hot by Nature's Way to get my stomach adjusted to this one, around about, 4 months, when I ran out, I used this one. It's hot, my stomach felt it, thought I would trash it, never again. Eat something, but I stuck it out for another 20 mins. and then had a bowel movement, sweet relief. Looking in the toilet I seen the floating things, Got a stool and took to the doctor, one week later, stool is parasites. All I took was this and another product, which never showed these results alone. I dread using it, but it works for constipation an larvae eggs. Gosh it hurts. But results. For my height and weight. 5'0 136 lbs...take this with a tiny bit of water, don't gulp, no lemon or apple cider needed. wait thru the exruciating pain, then one teaspoon of oil, plop your bowels are moved with parsites in the toilet. 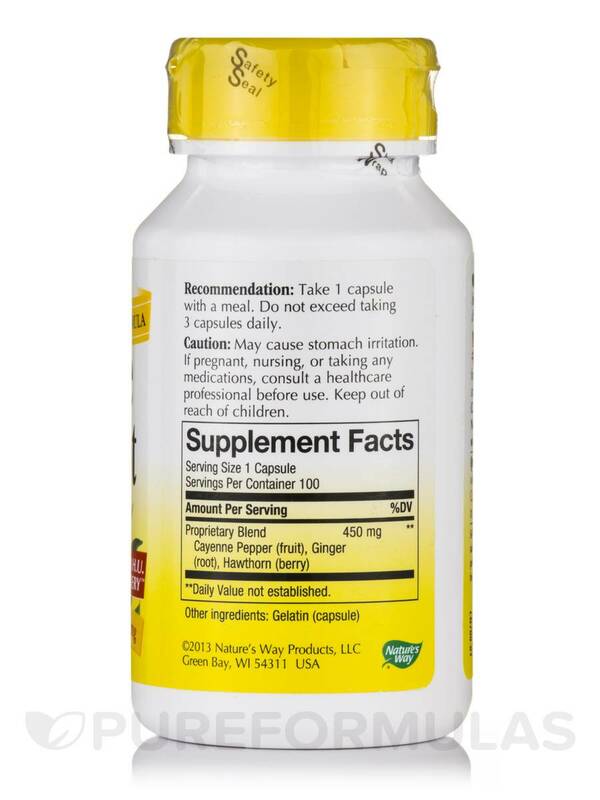 If you feel like you have a hard time digesting your food sometimes it could be because your Stomach Flora arent all working especially if you are taking a bunch of antacids. Extra Hot will help burn those extra calories and your dont have to use a bunch of hot sauce on your food to do it!!! !